Studies have found an association between consuming green tea and a reduced risk for several cancers, including, skin, breast, lung, colon, esophageal, and bladder. http://www.health.harvard.edu/press_releases/benefit_of_drinking_green_tea Green tea is so good for you that it’s even got some researchers raving.”It’s the healthiest thing I can think of to drink,” says Christopher Ochner, PhD. He’s a research scientist in nutrition at the Icahn School of Medicine at Mount Sinai Hospital. • Green Tea May Protect Your Brain in Old Age, Lowering Your Risk of Alzheimer’s and Parkinson’s. 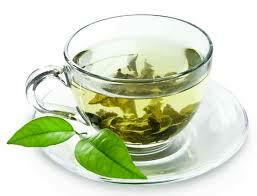 • Green Tea Can Kill Bacteria, Which Improves Dental Health and Lowers Your Risk of Infection. • Compounds in Green Tea Can Improve Brain Function and Make You Smarter. Green Ceylon tea is less well known. All the same, Sri Lanka exported slightly more than 3,000 tonnes of the latter in 2010. While this was only about a hundredth of the quantity of black tea exported the same year, the reputation for quality enjoyed by Ceylon Tea has quickly come to be shared by the green product as well as the black. The Ceylon green tea industry, though young, is growing rapidly as its products attract a following among the tea-drinking nations of the world. 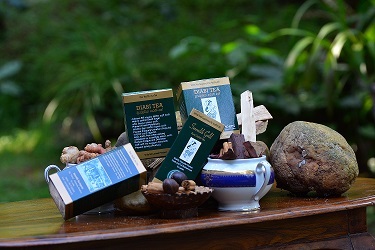 Currently, the main export markets for green Ceylon Tea are the Middle East and the countries of the former Soviet Union, though sales are also growing in Europe, North America and East Asia. In Sri Lanka, too, a taste for green tea is rapidly spreading. Although it is a relatively new arrival among the export statistics, the history of green tea in Sri Lanka stretches back to the very first experiments in tea cultivation and manufacture made on the island. Though sometimes attributed to Sir Anthony Oliphant, a former Chief Justice of Ceylon, the credit for undertaking these experiments is generally agreed to go to Maurice Worms, a member of the great Rothschild financial dynasty, who planted some China seedlings on his estates in Pussallewa and Ramboda in 1842. This was in the middle of the Ceylon coffee boom, so it is clear that Worms was merely trying out a new hobby. His tea, cultivated and manufactured according to the Chinese method using tea-makers who had been brought over to Ceylon from that country expressly for the purpose, cost over £5 sterling per pound to produce. This being far more than even a Rothschild might be willing to pay for a pound of tea, the experiment was soon abandoned. However, many of the bushes on older Sri Lankan estates, particularly those at high elevations, were grown from China seedlings. As a general rule, Chinese ‘cultivars’ or strains yield a smaller leaf and a subtler flavour than the Assamese ones more common on tea estates in Sri Lanka. 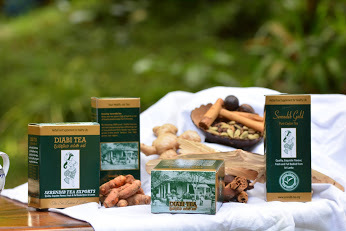 By Serendib Herbal Tea Exports in Ceylon Tea News, How to Buy Serendib Tea, Serendib Diabi Tea, Serendib Herbal Tea Exports on August 28, 2014 .